Every home lover may have a lot of wishes about his home and to have a big green garden space is one of those heartiest desires of every home lover! But if you go with DIY projects, then you can easily make this wish come true even if you are living in a house that is not very spacious or in an apartment! The vertical gardens are big solutions to this problem and can be made quickly at home to enjoy the lovely greenery and flowers all the time at any particular indoor or outdoor space! 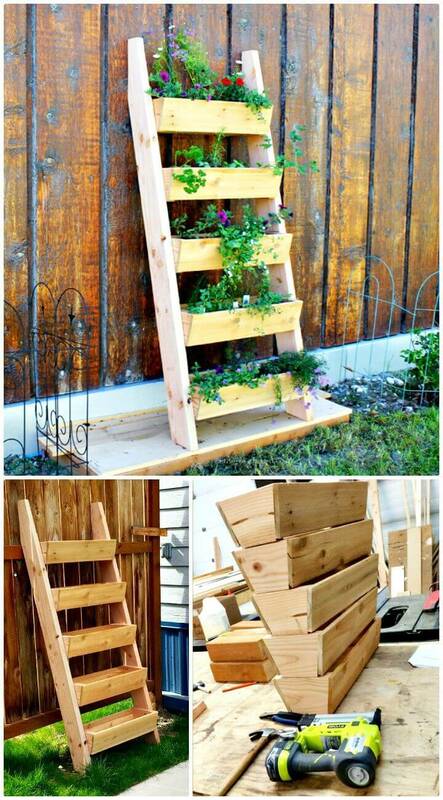 Just check out here these 15 DIY ladder planter plans / DIY Vertical Gardens that would make a super beautiful vertical garden for any of your particular space and will also be a smart way to shift garden greenery to your indoor spaces! 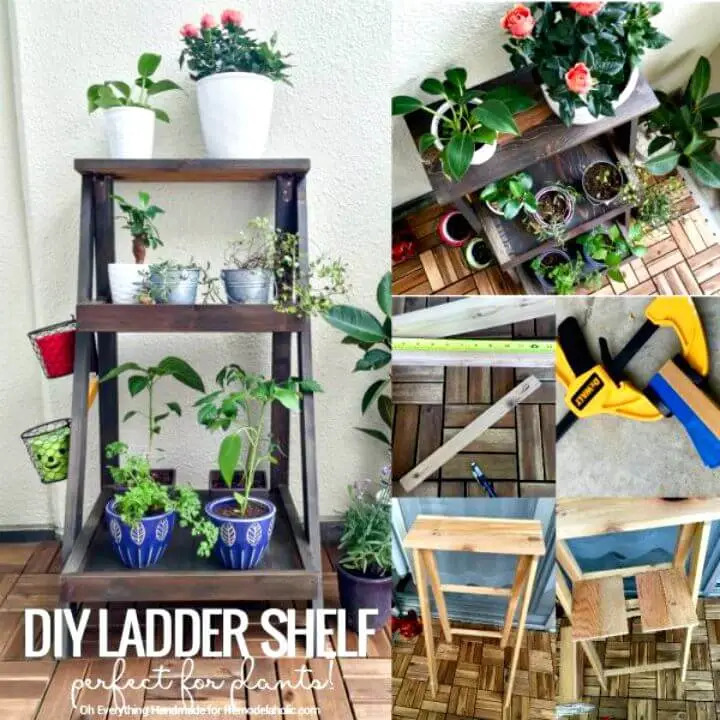 All these DIY vertical ladder planter plans would just be a way to install a precious herb, flower or hard-to-find plant garden easily on a small scale and without getting a bit expensive! 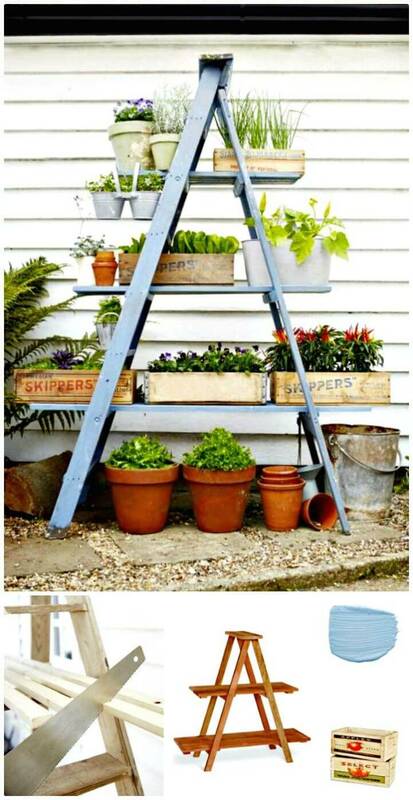 Here most of these ladder planters are made of new and recycled woods and are looking pretty impressive! 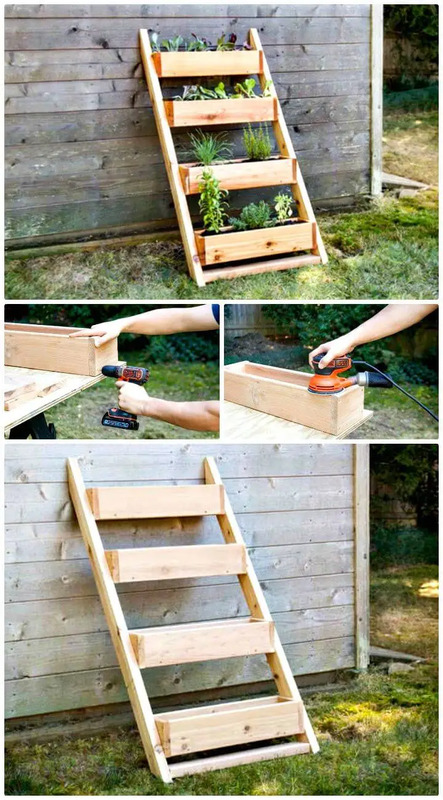 Building a ladder planter can be divided into two parts mainly, one is to build the ladder sides that can be raised to any custom height level and 2nd part is to build the custom wooden holdings that will be installed in place of ladder steps or spindles as tiered planters! 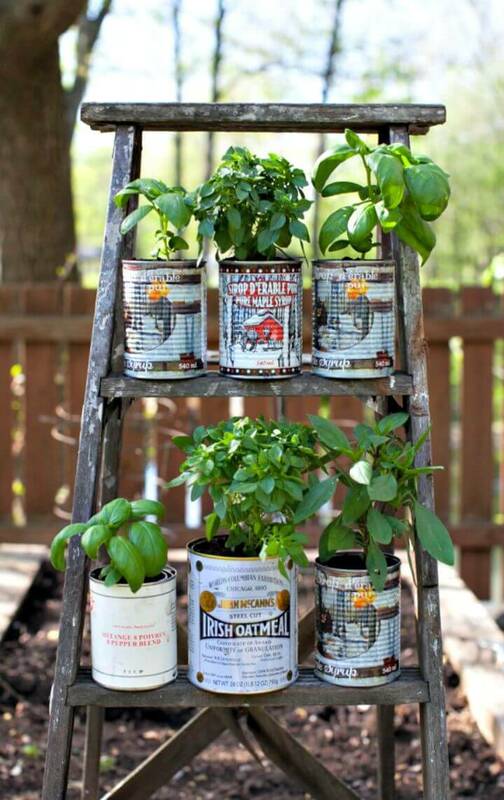 So by having these points in mind, you can just build outstanding looking ladder planters at home just by spending a little time and money! 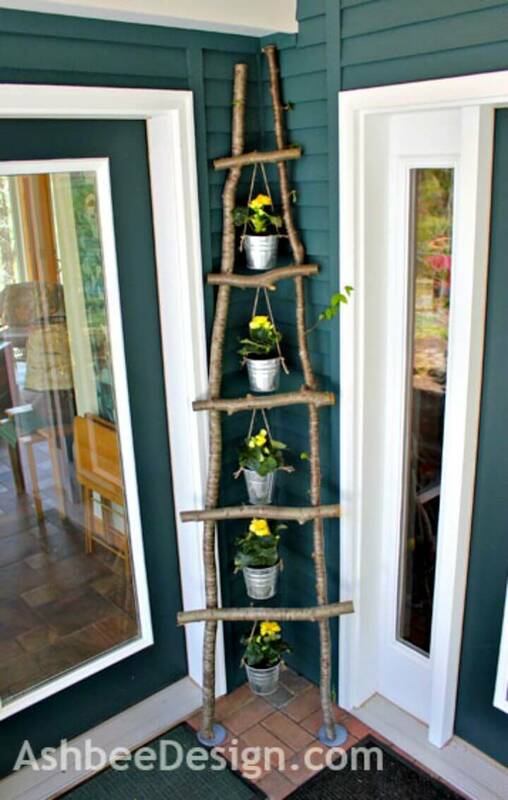 Here you can also go smart with the steps of the ladder! 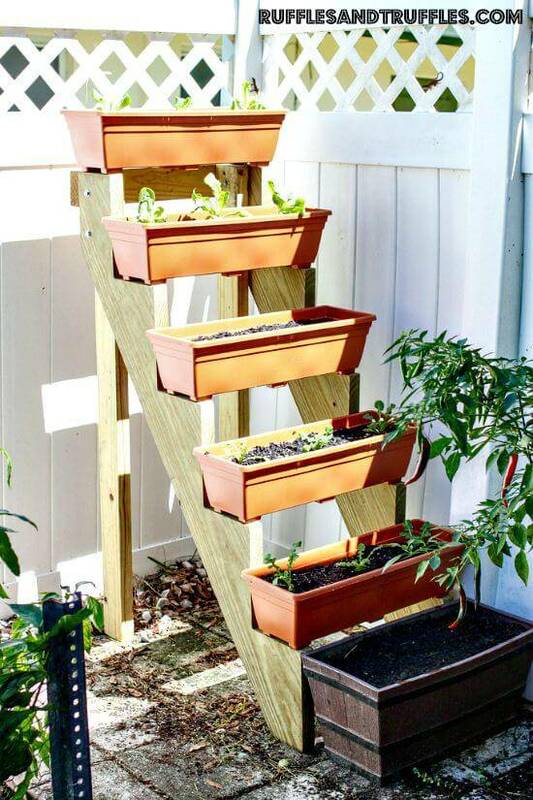 If you want a ladder planter that can also be used as a ladder in part times, then you have to build the wooden steps for it which will then hold the planters on them! If you don’t want a ladder but a glam looking ladder planter then you can just skip the steps and can directly install the planter boxes in place of steps, the list will provide you both types of samples that you can easily duplicate! 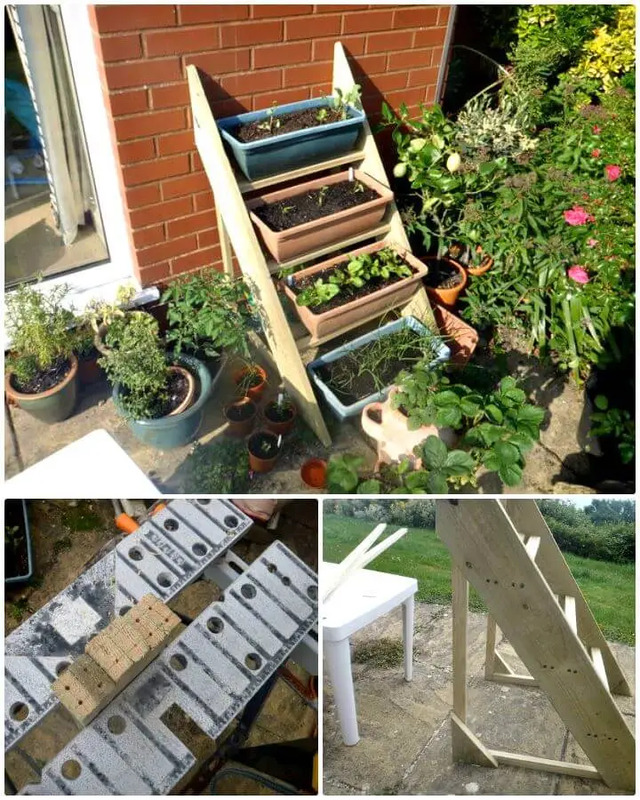 Moreover, you can also build V-style ladders that can stand alone and can be added with longer shelf bars placed straight across the spindles which will also hold your garden pots and planters for amazing vertical gardens and potting stations! Check out some outstanding samples given below that are truly eye-catching and praise-worthy! 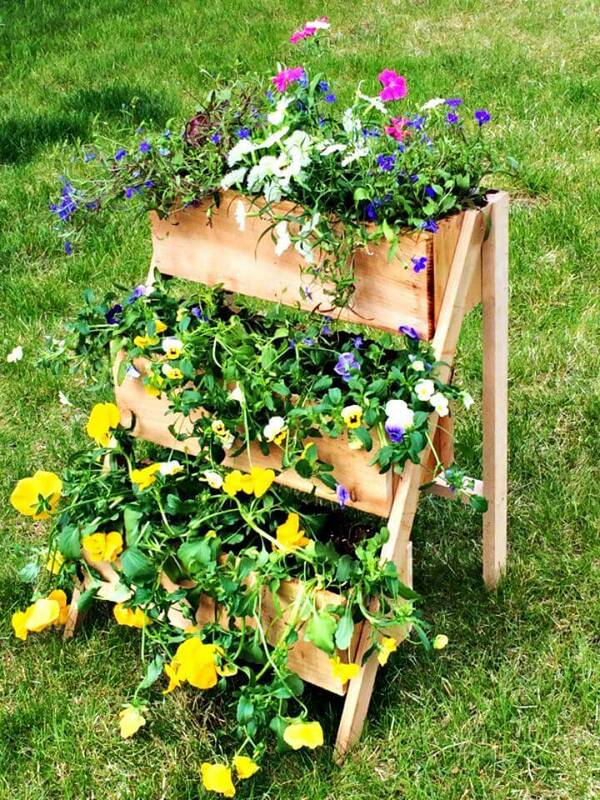 Moreover, you can also build the ladder planters as normal ladders and can install custom vertical supports to their backside so they can also stand alone rather than against the wall, get inspired of a precious given below sample that is simply outstanding and fetching! 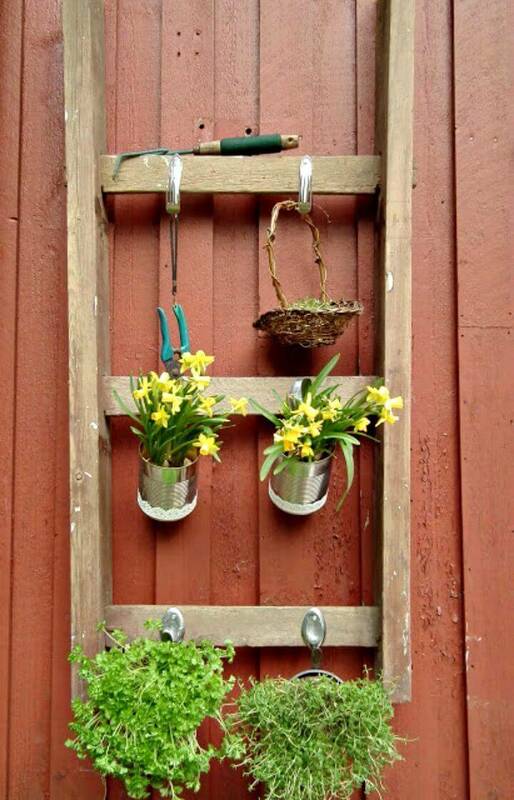 Next, you can also install the vertical ladder planters using the tin buckets and tree branches, and you can also go with the wall mounted ladder planter that will come with pots beautifully hanged over! Check out the given pasted source links for each project that are having the hidden tutorials and step-by-step guides to them! 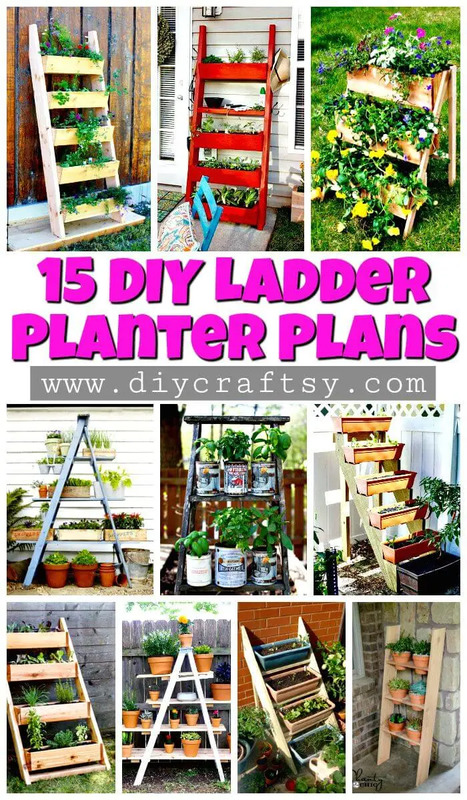 The planters are so much fun to spruce up the decor and beauty of your garden spaces, and there are so many designs and styles for the planters, but the ladder style gives the garden the most pleasure. 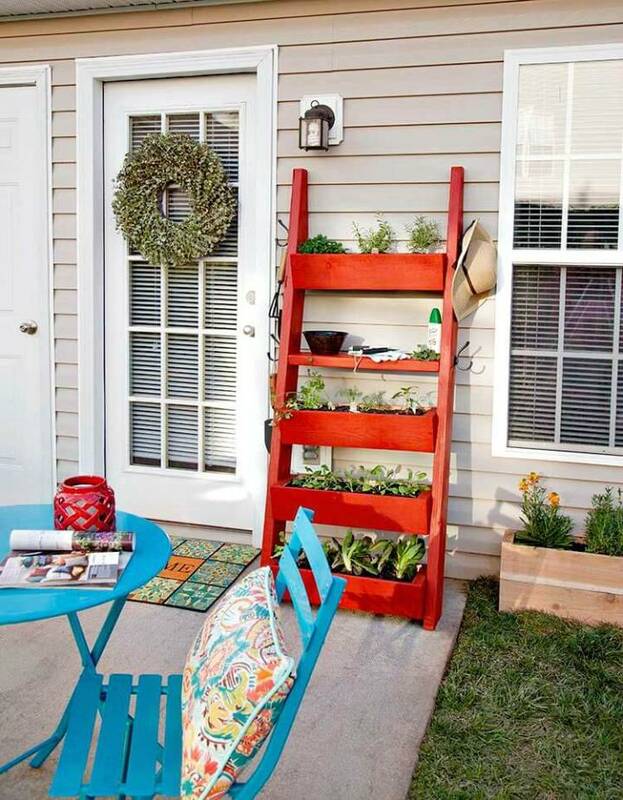 With its tiered shelves, it provides you so much space for the plants and the flowers to and it would look adorable standing against your garden walls. 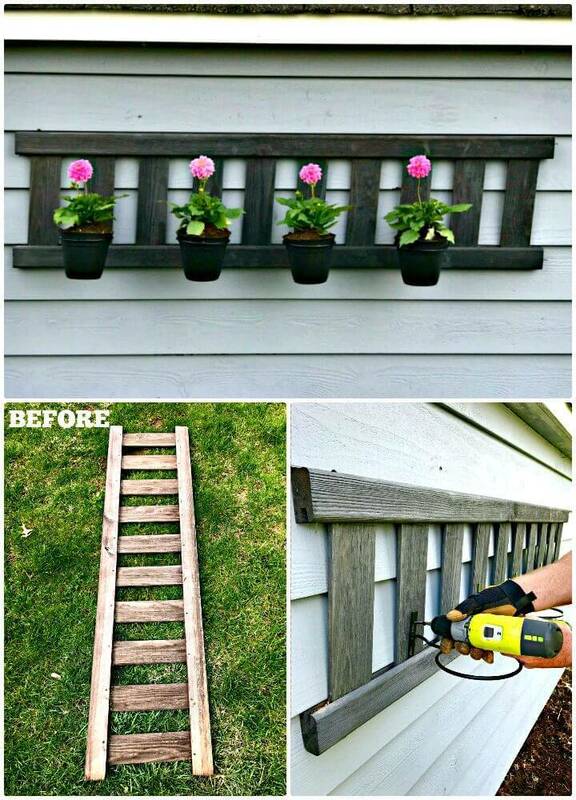 So grab some wood and your crafting tools to shape up this awesome planter design ana-white.